If you’ve been longing for a way to achieve tighter, contoured skin, we’ve got a treatment that will work wonders for you. BTL Elixis™ combines non-invasive radio frequency and ultrasound energies to successfully tighten the skin – providing a more youthful looking result with no discomfort or down time. Common treatment areas include around the eyes, around the mouth, the jaw line and chin, décolleté, arms, legs, buttocks, abdomen, love handles and intimate areas. Because of the combination of these two technologies and the cooling component of the device, patients can enjoy a relaxing and pain-free treatment (comparable to that of a hot stone massage) that provides truly effective results. Yes, the BTL Elixis™ procedure is incredibly safe! The special EFC™ (Energy Flow Control) ensures that safe and optimal levels of power are delivered to the targeted tissues, and temperatures are kept under control through the entire treatment. The system has met strict safety standards, having been tested thoroughly in a number of clinical studies. Some patients may see results after a single session. Most patients prefer to undergo 2-4 sessions lasting about 15-30 minutes – all depending on the area being treated. Am I a candidate for BTL Elixis™? This treatment is ideal for patients between the ages of 21 and 70+ who are interested in improving the appearance of skin in areas on the face and/or body. 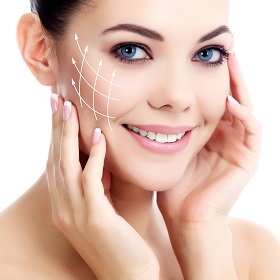 If you’re ready to transform the look of your skin with our safe and effective BTL Elixis™ treatment, contact us today!